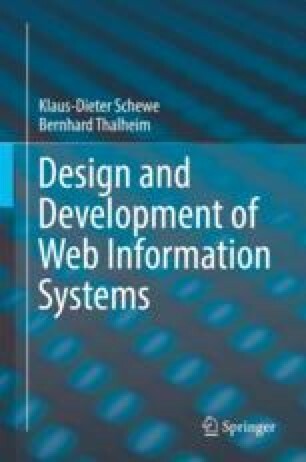 The chapter introduces the co-design framework for the design and development of web information systems. Starting from a discussion of general aspects in conceptual modelling and design, their specificity for web information systems is investigated. This leads to a general characterisation by six decisive aspects: intention, usage, content, functionality, context and presentation. This is followed by the presentation of the abstraction layer model for web information system development emphasising different layers of abstraction and the dimensions of focus (global vs. local aspects) and modus (static vs. dynamic aspects). The strategic, business, conceptual, presentation and implementation layers layers, respectively, provide views on a web information system on different levels of abstraction emphasising in general, what the system is about, how users are intended to use the system, how the system can be modelled in an integrated way, how presentation can be tailored, and finally how the whole development process is to be organised.